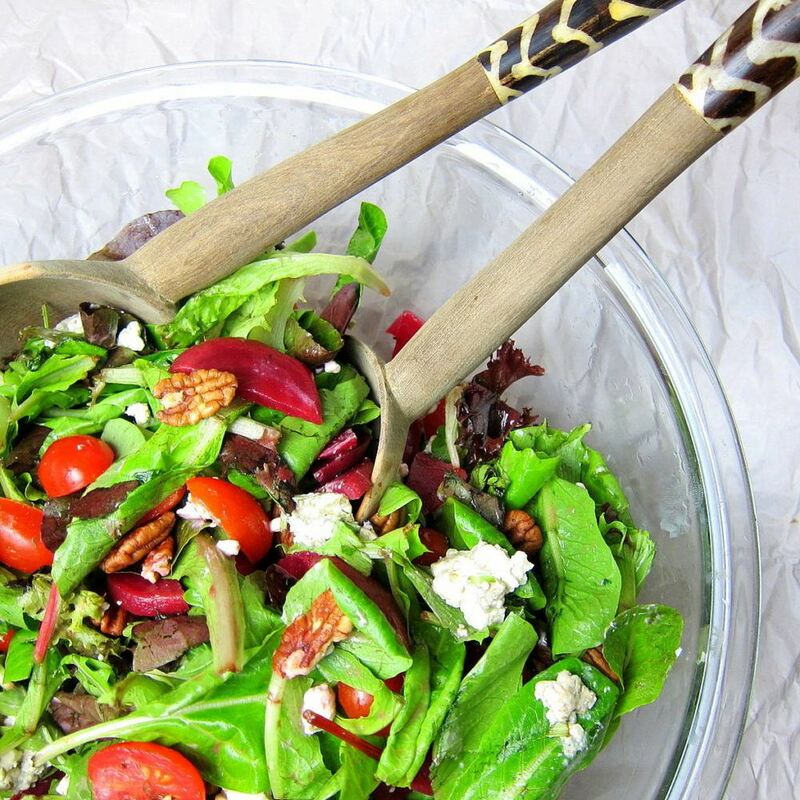 Beet and Blue Cheese Salad recipe with a homemade Citrus Vinaigrette Dressing. Topped with crunchy toasted pecans, this is a perfect side salad for dinner - for a family weeknight dinner or a dinner party. Drain the rinse the can of beets. Slice each beet circle in half to make semi-circles. Toast the pecans over medium heat until they start to brown and are nice and fragrant. If using a block of blue cheese, roughly chop 5 oz to crumble it. Toss all the salad ingredients together in a bowl. Combine all the dressing ingredients in a small bowl, and mix well. Pour over salad right before serving.